We consider 3-generated lattices among generators of which there are elements of distributive and modular types, and one of the generators is necessarily standard. For each triple of such generators, we answer the question whether a lattice generated by that triple is finite. A. G. Gein and M. P. Shushpanov Supported through the Competitiveness Project (Agreement No. 02.A03.21.0006 of 27.08.2013 between the Ministry of Education and Science of the Russian Federation and the Ural Federal University). 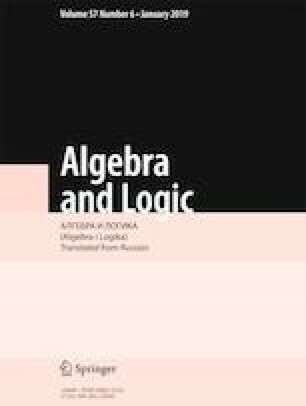 Translated from Algebra i Logika, Vol. 57, No. 6, pp. 619-638, November-December, 2018. A. G. Gein, “Lattices with modular and standard elements among generators,” Mal’tsev Readings (2016), p. 180; http://www.math.nsc.ru/conference/malmeet/16/malmeet16.pdf.